Today's all-glass phones demand protection. The InvisibleShield Glass Curve Elite for the Samsung Galaxy S9+ provides impact and scratch protection. 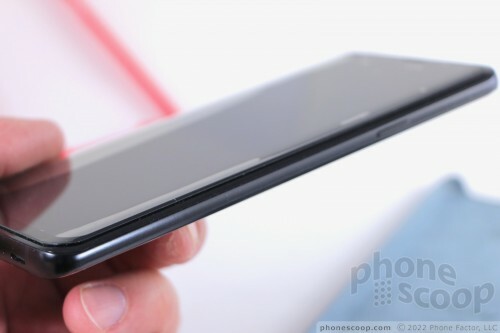 If you want to keep the curved glass of the S9+ safe from damage, this is one option. 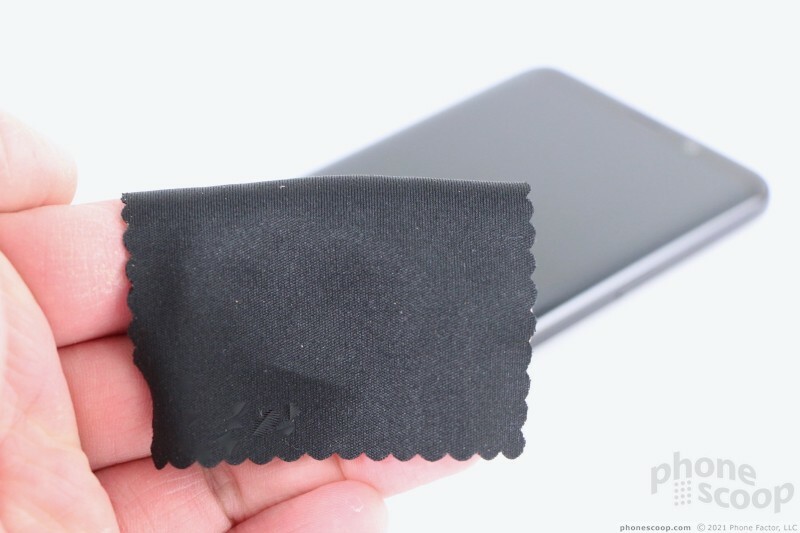 Screen protectors come in a surprising variety of styles. 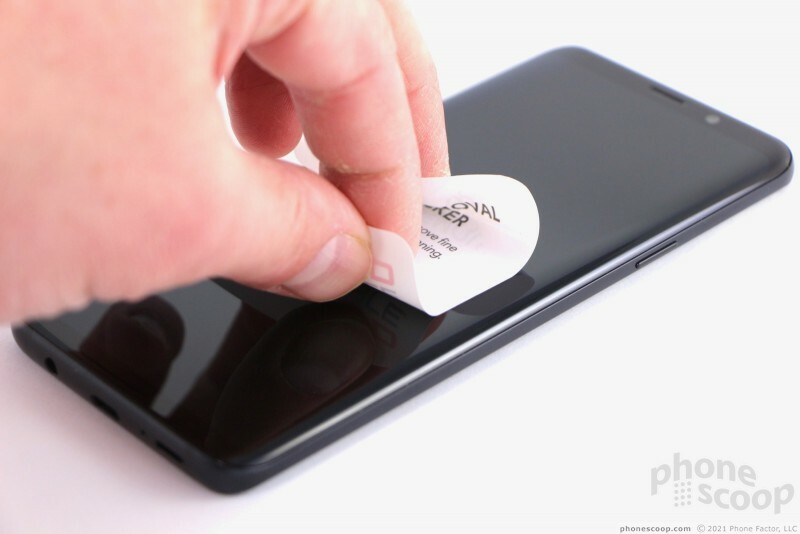 Some are little more than plastic film to ward off scratches, while others are fully hardened glass meant to prevent scratches and broken displays. The InvisibleShield Glass Curve Elite falls into this latter category. The Galaxy S9+ is a tricky phone to protect. 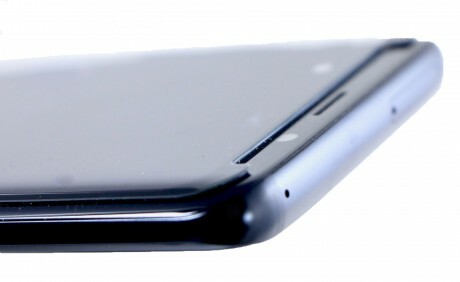 The phone's primary design characteristic is curved glass. Invisible Shield designed the Glass Curve Elite to perfectly match the S9+'s shape in order to provide protection of the front surface. In the box you'll find an entire kit designed to help you properly install the screen protector. There are numerous steps involved. 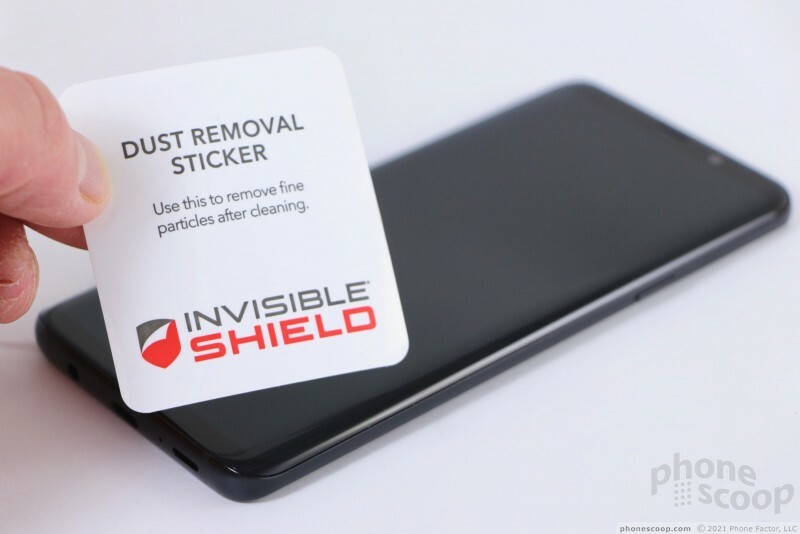 InvisibleShield highly recommends you watch its tutorial video beforehand, and so do I. 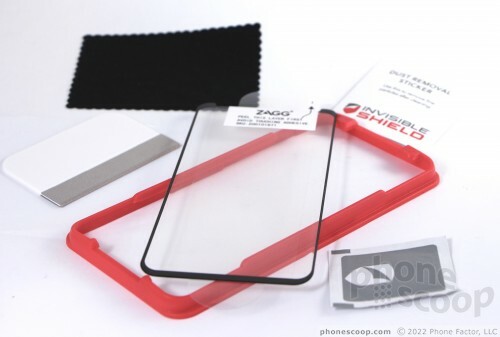 All the tools to prepare your phone and apply the protector are included. The video provides you with the step-by-step run down of what you need to do, though there are some directions included in the box, too. Preparing the screen is no problem, but correctly applying the protector takes patience and finesse I don't have. It's fairly easy to get it into position, the issue is getting the adhesive to take hold and then getting rid of all the air bubbles. This is time consuming. 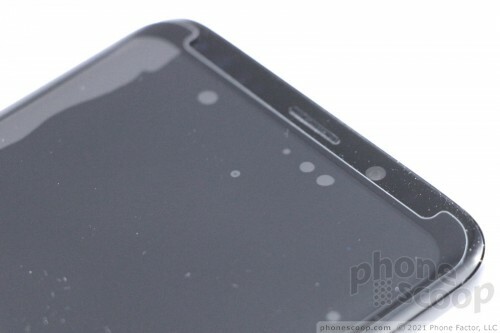 A surprising number of bubbles will form between the glass and screen. Some may find it is easy enough to push the air away from the center of the screen, but squeezing all the air pockets out of the curved edges is annoying. I had real difficulty with it. It took me about 20 minutes from start to finish. If you're not comfortable with such procedures, consider checking if your local wireless shop or electronics store will install it for you. The Glass Curve Elite fits precisely, and that's important. It's perfectly matched to the curves of the S9+'s front glass. It does add a bit of bulk to the phone. The overall thickness goes up by about 1mm. The bad news is that the glass protector does not cover the entire front face of the phone. I was hoping the Glass Curve Elite would wrap fully from side-to-side and top-to-bottom. It doesn't. It covers probably 85% or 90%, and creates a distinct and noticeable edge that your fingers will feel again and again and again. I'm pretty disappointed by this. The glass itself feels good under your thumb, as long as your thumb isn't catching the lip along the edges. 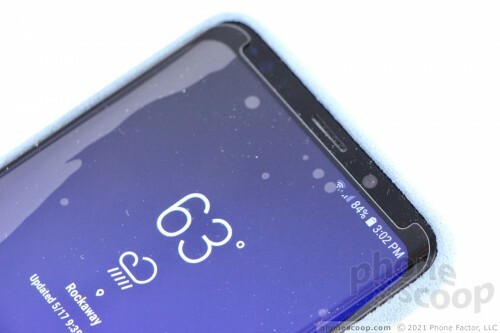 The good news is the screen protector worked with every case I have on hand for the S9+. 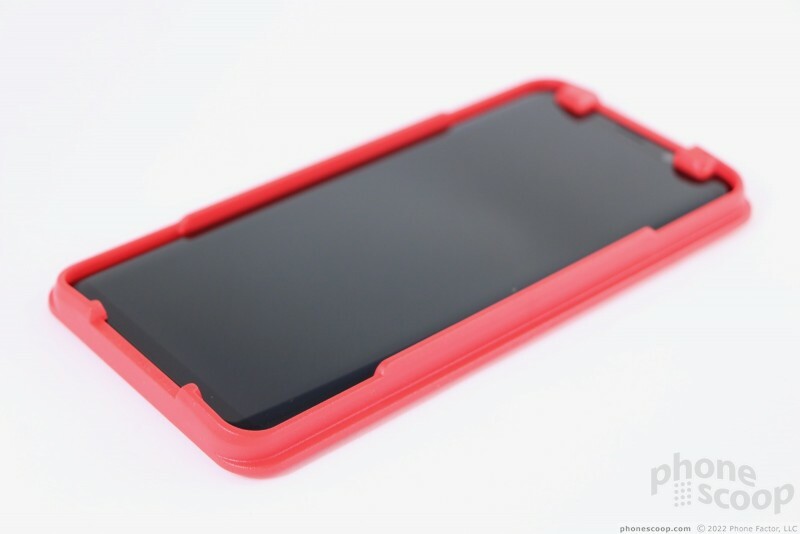 In other words, you can combine the screen protector with your favorite case for front-and-back protection. 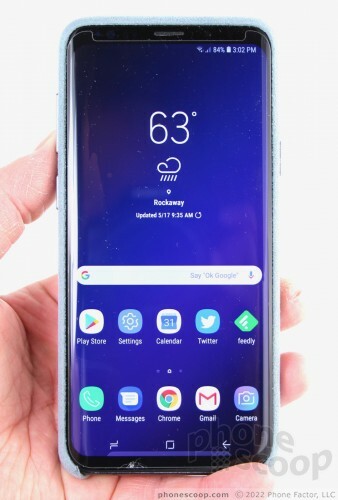 The screen "preserves touch sensitivity" says InvisibleShield, but you do have to set the S9+'s touch sensitivity all the way up. With the InvisibleShield installed, I was able to fully interact with the phone's display. I didn't experience any missed taps, swipes, or other gestures. InvisibleShield says the Glass Curve Elite provides 100% clarity, meaning it doesn't impact visibility or brightness at all. Based on my experience with the screen protector, that appears to be true. The glass is smudge-resistant and wipes clean with ease. It will catch some nasty glare outdoors, which may force you to turn the brightness up some, which could in turn impact battery life. The glare is a wee bit worse than it would be without the screen protector. The outer surface of the InvisibleShield Glass Curve Elite is tempered glass. It's enhanced by an additional shock-absorbant layer of material to help divert energy in the event of an impact. 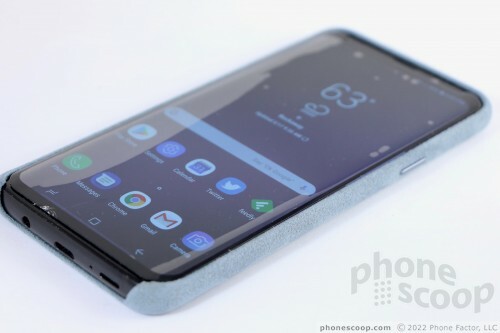 I used the Glass Curve Elite on the S9+ for a week along with the Samsung Alcantara case. I fumbled the phone a few times onto carpet, grass, and hardwood surfaces and it came away unscathed. 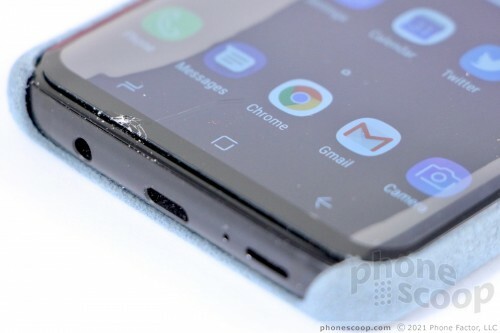 Further, I stored the phone in my pocket along with car keys and found nary a scratch on the Glass Curve Elite, let alone the S9+'s display itself. However, I once dropped the phone and caught it rather hard against the edge of a table. This produced a small chip in the bottom of the InvisibleShield. Thanks to the crack, when I removed the protector it cracked and fell to pieces. This means if it is damaged you cannot take it off and reapply it at a whim. InvisibleShield does offer a limited warranty on the Glass Curve Elite, but you have to jump through some hoops to take advantage of it. 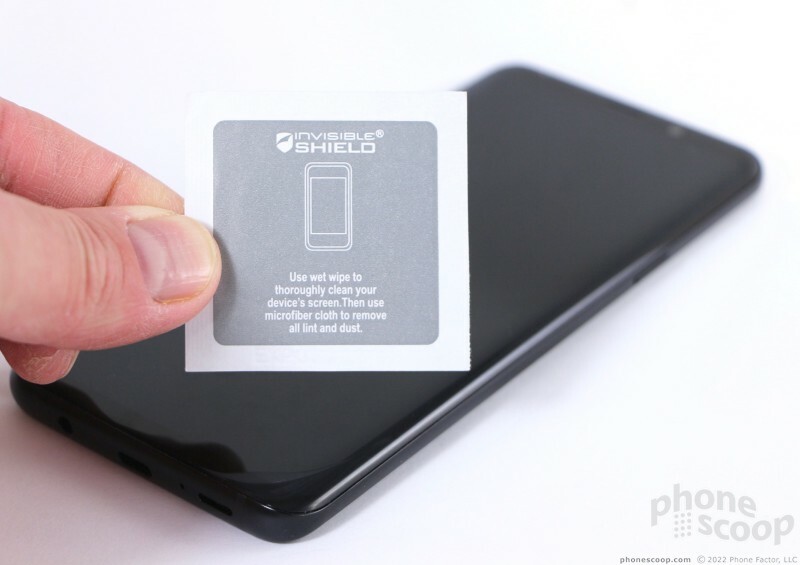 InvisibleShield makes no specific claims as to what sort of damage the Glass Curve Elite will prevent. InvisibleShield sells the Glass Curve Elite for $50. That's a lot for a screen protector. 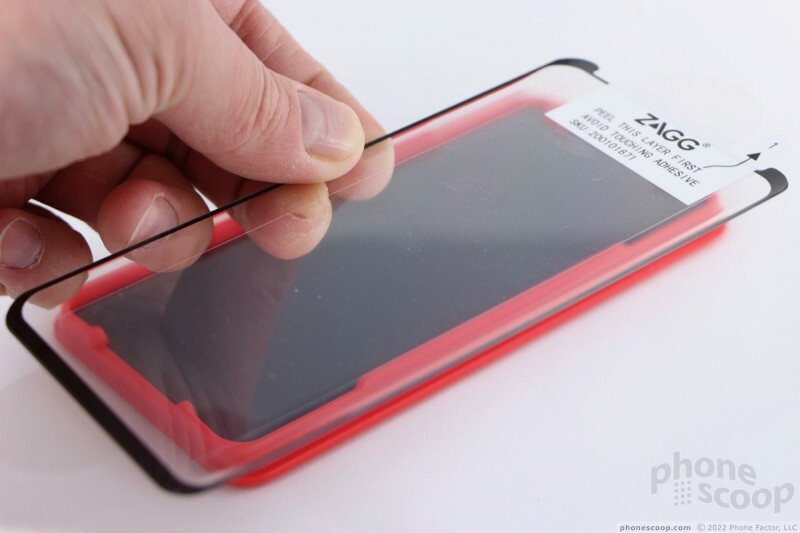 The Glass Curve Elite does prevent the S9+'s unique display from getting scratched up and it should also prevent some types of impacts from cracking the pricey phone's display. 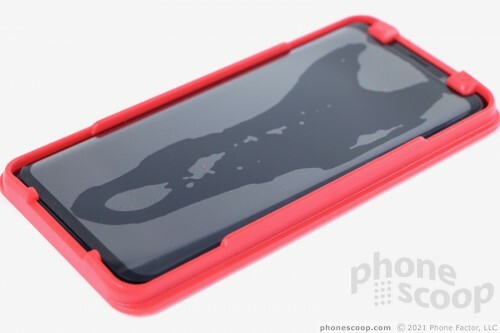 I like that the Glass Curve Elite can be combined with a case, but I think you'll be better off spending $60 on an OtterBox to fully protect the Galaxy S9+ from all drops. 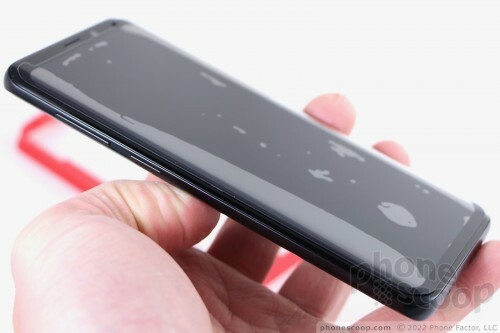 After all, the S9+ has glass on the back, too. Are those bubbles on the curved edges, or reflection from the white-box? Since last summer I've use the Whitestone Dome on my S9. It was probably took more time, but had no bubbles due to the LOCA adhesive and UV light. I think for $50 it is probably a better product.